Each year, we begin decorating our home on November 15, as we begin the 40 day fast for Christmas. It's beneficial for all to begin seeing the transformation around us and within us. 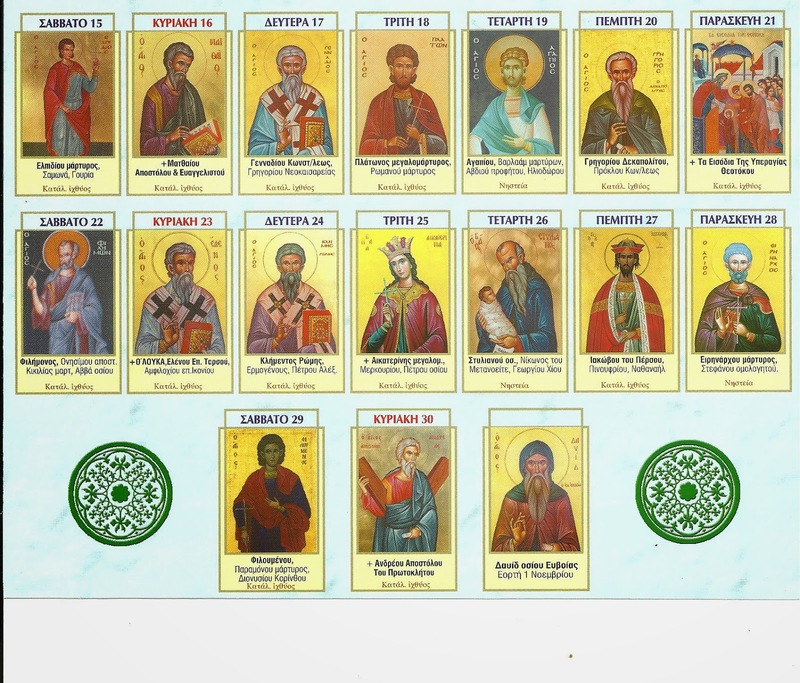 Here are the 40 days in icons. We're aiming to cut them out, and create an ornament for each day until Christmas. If you follow the old calendar, I can post January as well. 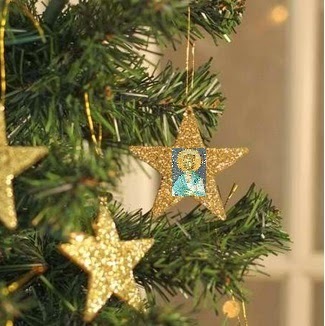 Enhance this activity by chanting the troparion for each day, or paste a short story from the Saints' life on the backside of each ornament. After you're finished, that's forty ornaments! Plenty to fill a tree! This is a beautiful idea! Where did you find the small versions of all the icons on one page? 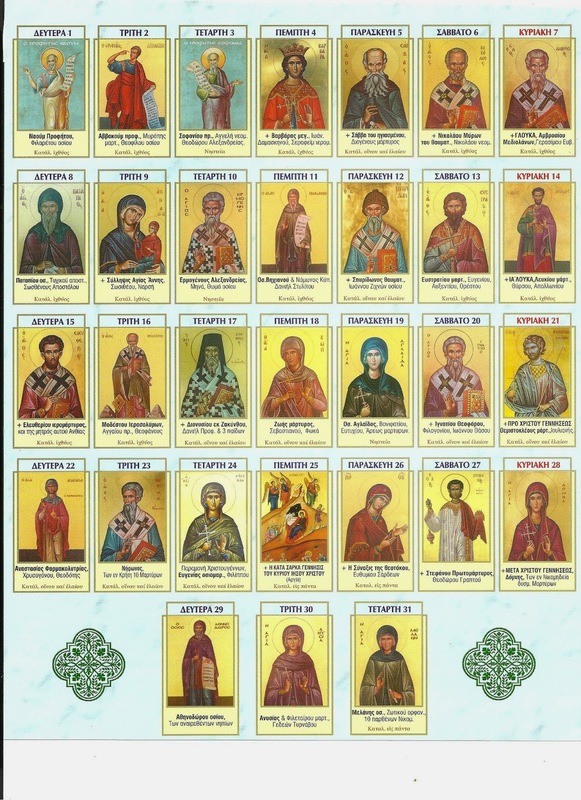 We've enjoyed them because they look like the Synaxarion icons, with all the Saints together on one page!! 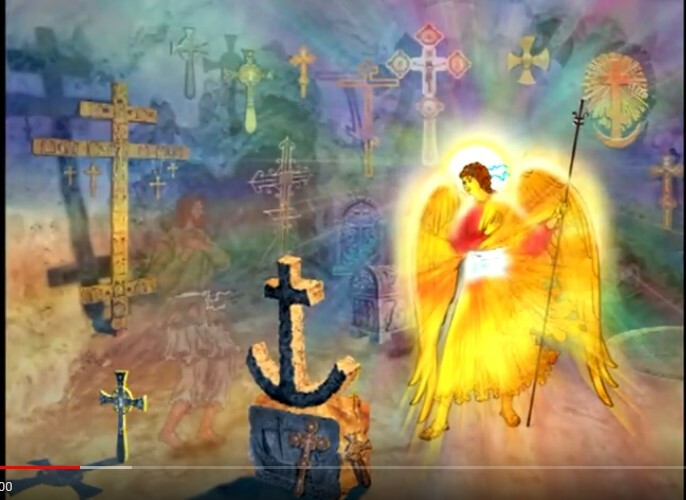 Are they the saints for each day? If I looked up an English calendar will I be able to work out who they are? Of course, an old calendar Orthodox would celebrate just two weeks afterward.